It was really hard this week to choose who to share as what we have been jammin’ in the studio to. There have been a lot of great releases but there are some releases that hit your soul in ways others don’t strictly because of who you are. 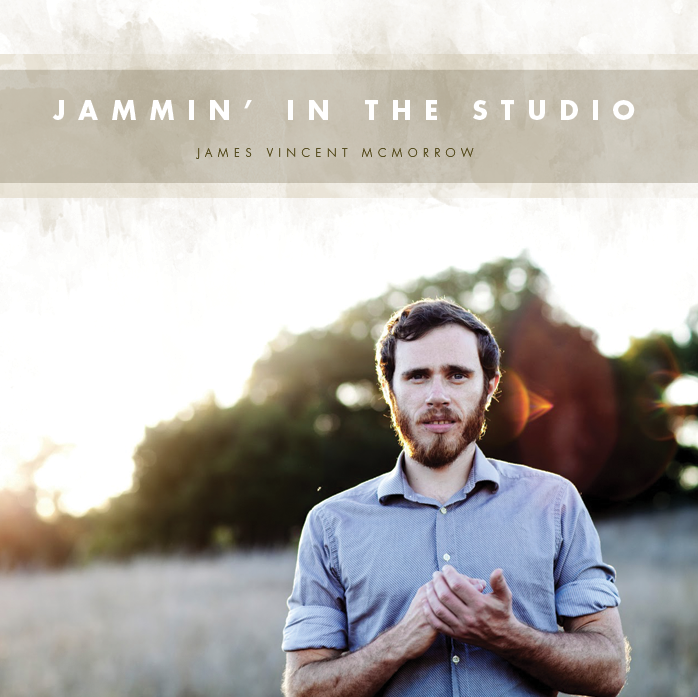 I found James Vincent McMorrow through my husband who heard about him from a friend. We are huge fans of bands like Fleet Foxes and Bon Iver and if there is a type of music I could listen to forever it would be either of those bands. It is hard for me to get out of a groove of listening to whispered haunting music. Think even Iron and Wine. But I do not want to classify all these bands together because they are their very own and each need to recognized as true artists. Not only am I in love with James’ sound but when I started doing research (I always like some background to music) I fell even harder for his soul filled music and haunting tales. I believe his biography on his website explain his debut album, Early in the Morning, the best. His biography goes on to explain where his songs came from with inspiration from artist Roald Dahl and writers such as Steinbeck and F Scott Fitzgerald’s darker view on life. With the whole album recorded on his own in a cabin by the sea it gives a primal untainted aspect to his music and sound that is few and far between these days. This is where an writer shines and it is evident upon listening through this album nearly 10 times now in 48 hours. I cannot pinpoint a song that speaks to me more but rather craze the whole album and have never had that feeling before. So head over and buy the album at itunes and get taken in by his soft whispers and building crescendos. It is beautiful. Also go check out this live version of him doing one of the songs from the album. Very cool! Love the intimacy of this moment.